Child abduction: does it pay to behave? Sarah Colley, a senior solicitor in our Family team, reports this unusual case, where a mother was permitted to remove her child to the UK in circumstances where her own conduct was highly criticised by the Judge. This case concerned T, a child who was 6 and a half, born to parents in El Salvador. When the parents divorced, Court proceedings commenced and it was ordered in 2014 that the Father was to spend regular time with T. It was also ordered that the Mother was to leave T with the Father if she wished to leave El Salvador. In 2014, the Mother was the victim of an armed robbery at her home in El Salvador and was seriously assaulted. T was not at home at the time of the incident. Following the incident, the Mother received several threats from the potential perpetrators of the attack and the maternal grandmother also claimed that she had been approached and threatened in the car park of a supermarket. The Mother stated that she had approached the authorities in El Salvador for assistance in respect of the attack but that assistance was not forthcoming. In 2015, the Mother took T to Miami on holiday with the Father’s permission. However, the Mother then took T to the UK in July 2015 and told the Father by telephone that she had done so and was not intending to return to El Salvador. Since the removal to the UK, the Father had had no direct contact with T and Skype contact only commenced when this was ordered by the Court in October 2016. The Father sought the summary return of T to El Salvador. The Mother opposed this and sought for T to remain in the UK with her and her new husband. The Mother sought to rely on defences under Article 12 and Article 13(b) of the Hague Convention namely that T was now settled in his new environment (Article 12) and that T would be at risk of physical or psychological harm if returned to El Salvador due to the 2014 attack against the Mother (Article 13(b)). HHJ Turner QC heard the matter for a final hearing in December 2016. The Judge considered the Mother’s defences under Article 12 and Article 13(b). With reluctance, and also with ‘real regret’, the Judge found that T was settled in the UK and, on balance, stated that although the risks to T ‘may be relatively low’ they were ‘grave in the circumstances of emotional or psychological harm if not physical harm.’ The Judge stated that he ‘concluded on balance it would not be right to require T to be returned to face further risks of the kind the mother experienced.’ The Father’s application was therefore refused. 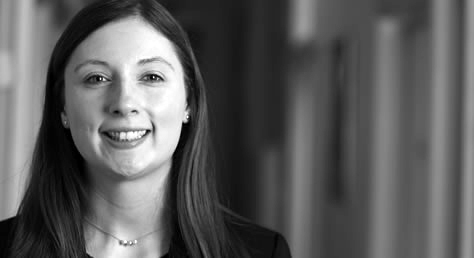 If you would like Sarah to assist you in proceedings concerning children, please contact her by phone or email: direct line: 020 8885 7966, email: s.colley@wilsonllp.co.uk.